SMC SMCWPCI-GM EZ Connect TM 802.11g Wireless PCI Adapter with MIMO Technology is a Network Adapters device. The developer of this driver was SMC Networks Inc.. 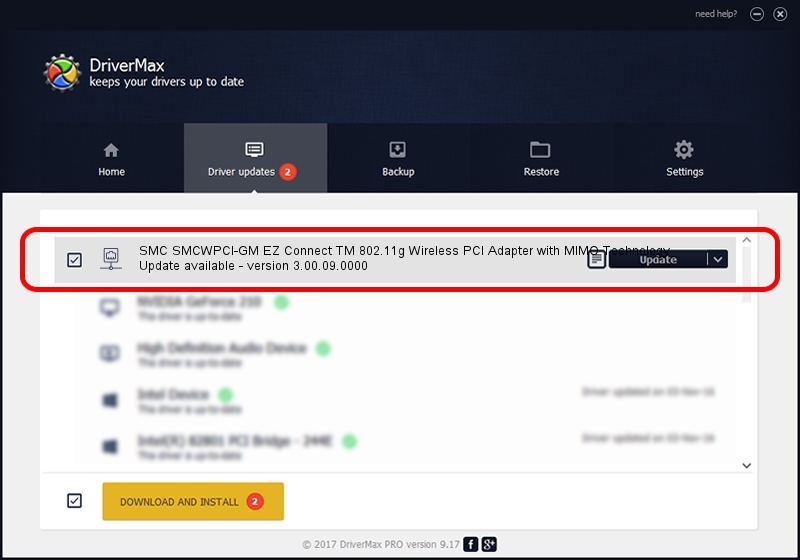 In order to make sure you are downloading the exact right driver the hardware id is PCI/VEN_1814&DEV_0401&SUBSYS_EE051113. 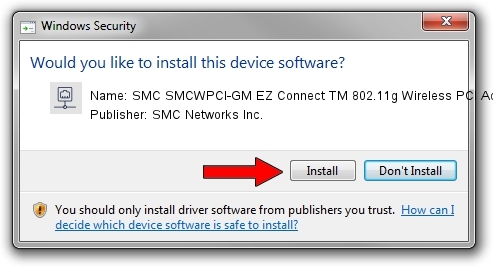 Download the driver setup file for SMC Networks Inc. SMC SMCWPCI-GM EZ Connect TM 802.11g Wireless PCI Adapter with MIMO Technology driver from the location below. This download link is for the driver version 3.00.09.0000 released on 2010-04-07. This driver was rated with an average of 3.2 stars by 81739 users. Take a look at the list of driver updates. Scroll the list down until you find the SMC Networks Inc. SMC SMCWPCI-GM EZ Connect TM 802.11g Wireless PCI Adapter with MIMO Technology driver. Click the Update button.